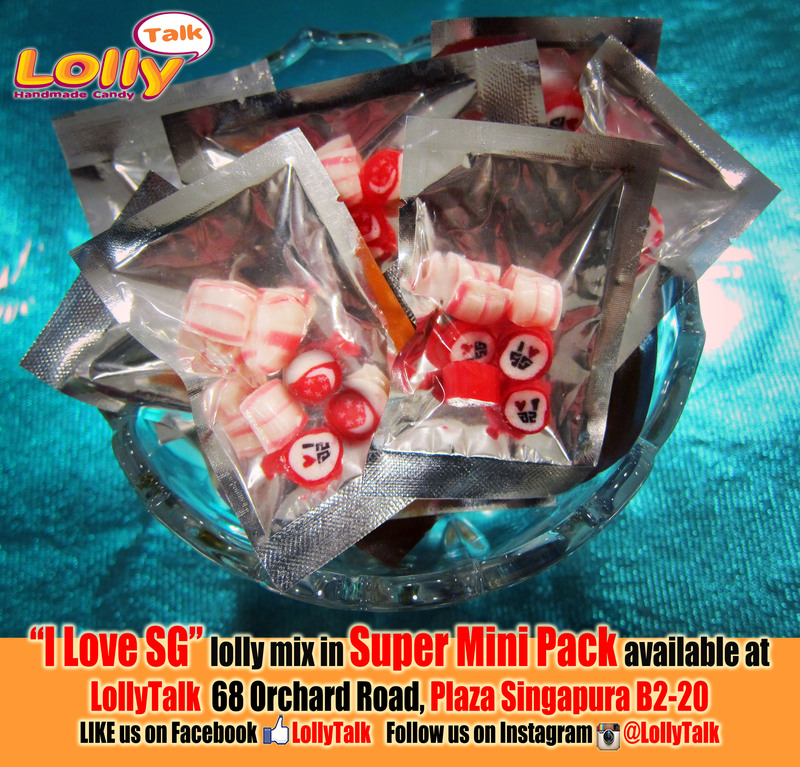 LollyTalk ”I Love Singapore” lolly mix is available in super mini pack (5pieces) as well as various packagings and sizes. Ideal door gifts for various National Day events with various budgets. 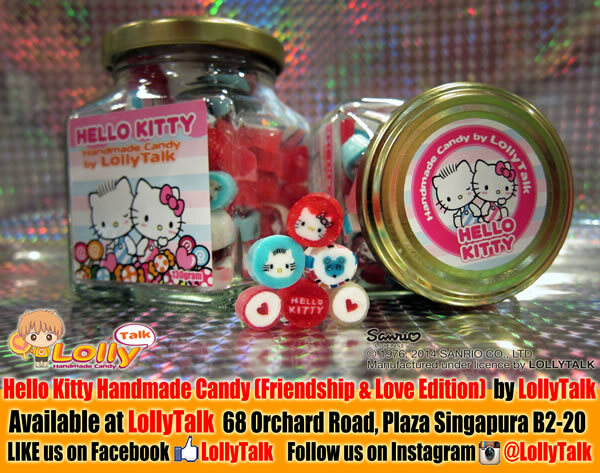 Support Singapore very own handmade rock candy, support LollyTalk. LollyTalk is the ONLY Singapore brand of Handmade Rock Candy that still bringing you a visual feast with live demonstration of candy making in a Singapore retail mall. Together with World’s Greatest Fans like you, we will bring proud to our nation while making this world a sweeter place with our happy lollies! Pre-order for the “I Love Singapore” Mix now. Drop us an email info@lollytalk.com for further enquiries. Prices start from as low as S$0.80 for a super mini pack. 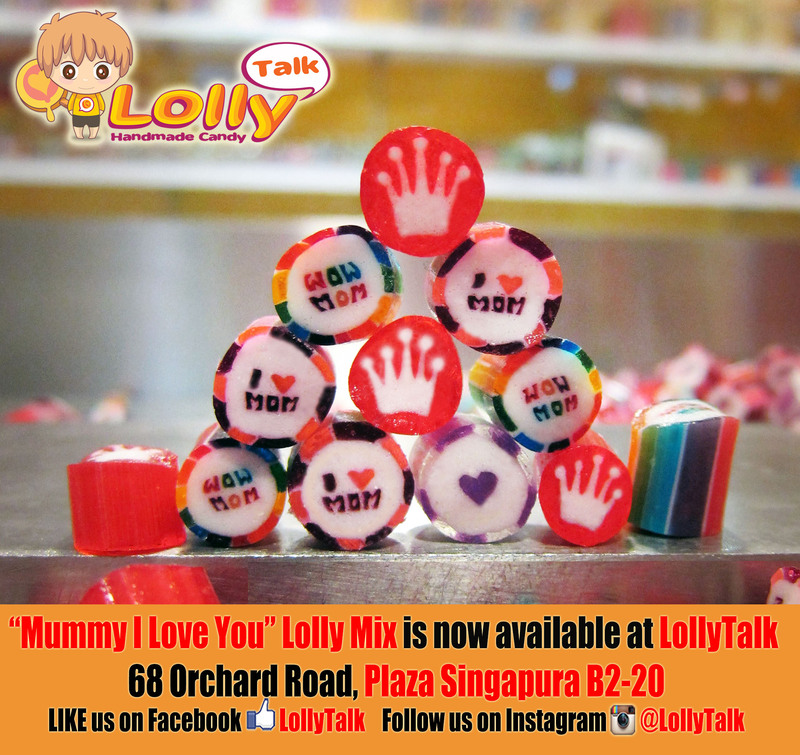 LollyTalk‘s “Mummy, I Love You!” lolly mix is now available!!! 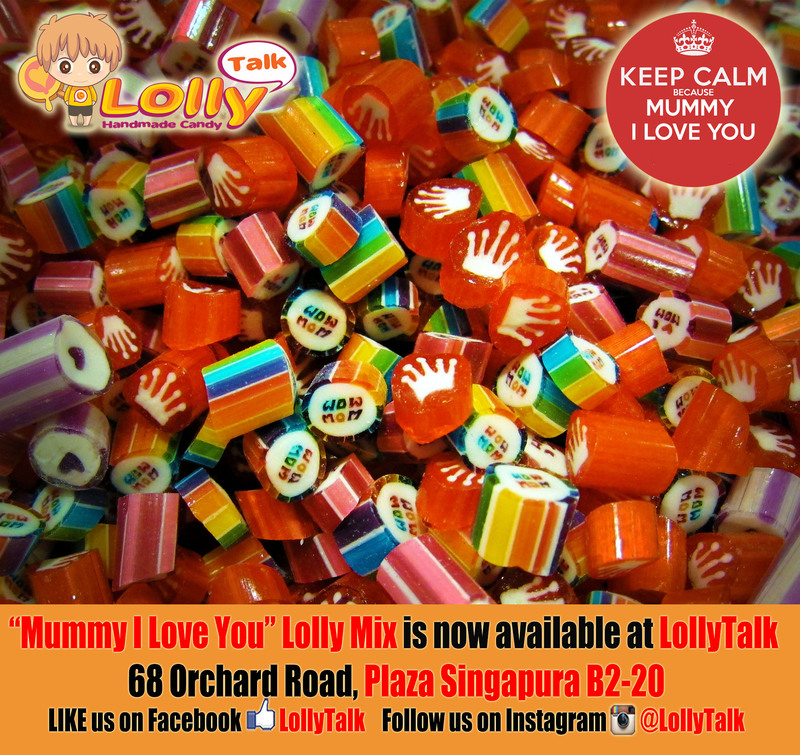 Order your “Mummy, I Love You!” mix now and collect the lollies nearer to Mother’s Day to ensure stock availability!! Drop us an email nfo@lollytalk.com for further enquiries. Prices start from as low as S$0.80 for a super mini pack and S$2.90 for a 30g bottle. Ideal gifts for various events celebrating Mother’s Day!!! Consist of “WOW MOM”, “I Love Mom” Blackcurrant Heart and the “Tiara” Lolly to crown her the Queen! 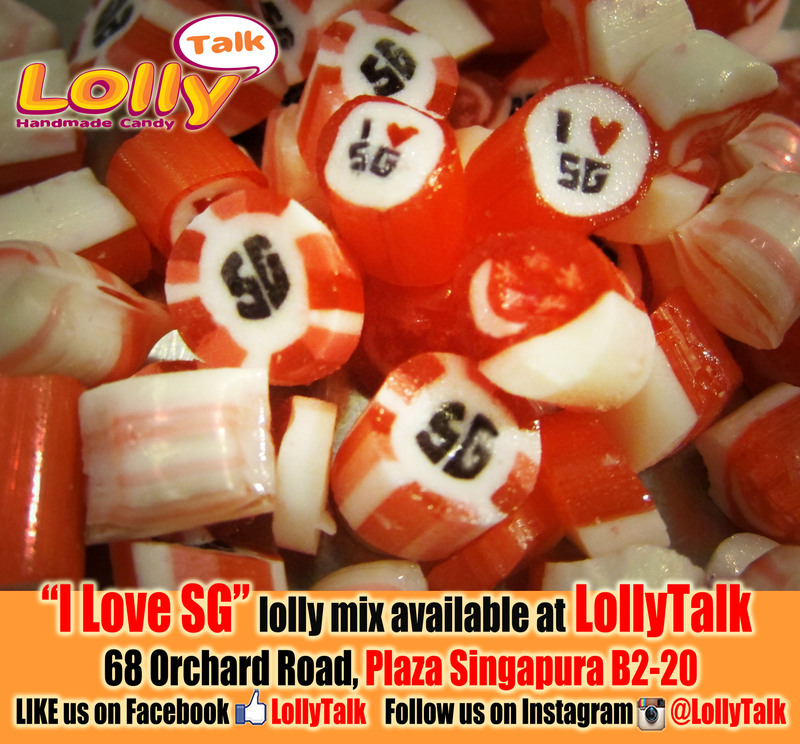 And LIKE our LollyTalk’s Facebook page and follow us on Google+ to keep you posted of all the latest updates!! Follow @LollyTalk on Instagram for latest insta-photos updates!